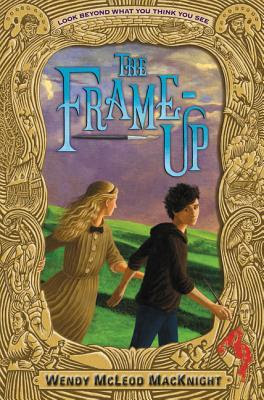 THE FRAME-UP by Wendy McLeod MacKnight! I have an interview for you today and I am super excited to share it with you! You get to learn so much more about Wendy and the book, so keep scrolling. But first, let's learn more about THE FRAME-UP! Includes a 16-page full-color insert showcasing the real paintings featured in the book. Describe THE FRAME-UP in 10 words or less. Wendy McLeod MacKnight: I think Mona Dunn. She is so curious and is always up for an adventure. I think it would be amazing to step into the paintings at the Beaverbrook Art Gallery with her! Plus, she’s been thirteen year’s old for over one hundred years; imagine the things she has seen from her vantage point on the wall? What's your favourite thing about being an author? 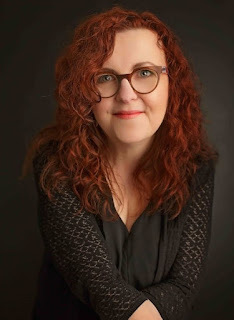 Wendy McLeod MacKnight: I love meeting and talking to kids about writing and reading! They are so smart and creative and they always teach me something. Do you have a favourite line to tease us with? Who from the characters would you most like to hang out with for a day, and what would you do? Wendy McLeod MacKnight: Hmmm. I think I would actually hang out with Lord Beaverbrook. He’s a wily character in the book, and was a wily character in real life. He and I would visit every painting he arranged to have added to the Beaverbrook’s collection and tell me the real story of how he acquired them all. Plus, he could tell me everything about every one of the residents! Wendy McLeod MacKnight grew up in a small town with a library card as her most prized possession. She wrote her first novel at age nine. Her debut middle grade novel, It’s a Mystery, Pig Face! was published by Sky Pony Press in 2017. Her second book, The Frame-Up, a fantasy that asks “What if every original piece of art is actually alive?” sold at auction to Greenwillow Books in a two-book deal and will be published June 5th, 2018. Visit her website at Wendymcleodmacknight.com.